Be a Barbarian. Join the Conan team. Since Conan joined JFrog, the growth has been incredible. Nowadays, there are many companies around the globe using Conan in production to manage their C and C++ libraries and packages. We are very excited and happy with Conan’s success, but with this success comes great responsibility: giving support and help to active users who depend on Conan for their tasks. This is a high priority for us, but it also takes a lot of time. We also want to work on product improvement (design, development, testing) to address active users’ needs. This is an ongoing task that only gets bigger with the user base. So we have reached the point where we need more Barbarians in the team. Are you willing to become one? Participating in conferences and other events, writing technical blog posts. Both roles require experience and skills as a Software Engineer, mainly in the area of C/C++ build engineering (multiplatform building, compilers, build-systems, Continuous Integration, etc). The Developer Advocate position will be more focused on the Community, but will be also doing development since a high level of expertise and knowledge of Conan is required. Some community leadership, experience in speaking at conferences, writing related blog posts, etc is also required. The Product SW Engineer will be more focused on development, but will also participate in all other tasks. Strong skills in design, development and testing systems, preferably in the dev-tools area, are desired. Both roles will require a good level of English, spoken and written, bonus points for experience in Python, OSS communities, and/or Conan. 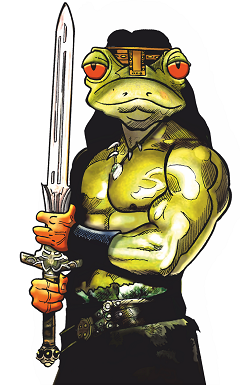 Conan is now part of JFrog, so by joining the Conan team you will be part of JFrog. JFrog, the creator of Artifactory, Bintray, Mission Control and Xray, has been recognized as one of the world’s fastest growing companies. The Conan team is remote. We don’t have a central office, and work remotely on a flexible schedule. From time to time, we travel to events and to meet and work together. If convenient, you are welcome to use any of the company offices in Sunnyvale, Israel, Toulouse, Bangalore and Madrid, but this is not a requirement. Do you want to be a Barbarian? Write us an email to info@conan.io with [BeBarbarian] in the Subject line, explaining your reasons, and linking or attaching relevant information about yourself.